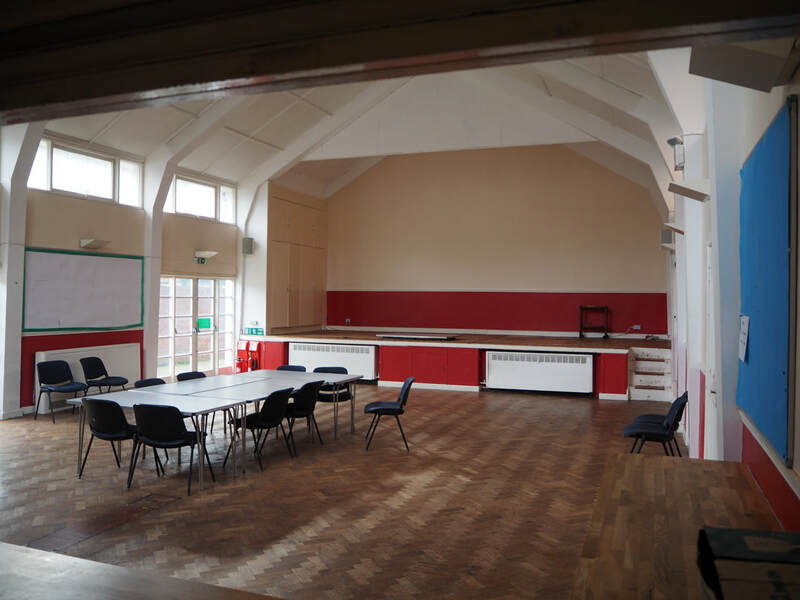 The Hall is well-suited for use as a rehearsal space with excellent facilities. It is light and airy with a high ceiling, measuring 14m x 8.5m (46' x 28') overall, including a raised stage. ​ five minutes walk from Oval and Kennington tube stations (Northern Line) and numerous bus routes. Nearby facilities include a post office, local shops and a variety of pubs, cafes and restaurants. We welcome bookings and enquiries from performance and theatre groups. cutlery and crockery; filter coffee machines and kettle; fridge, microwave and dishwasher. ​and a free wi-fi broadband connection. ​at an additional rate off £30 per hour over and above standard rates. 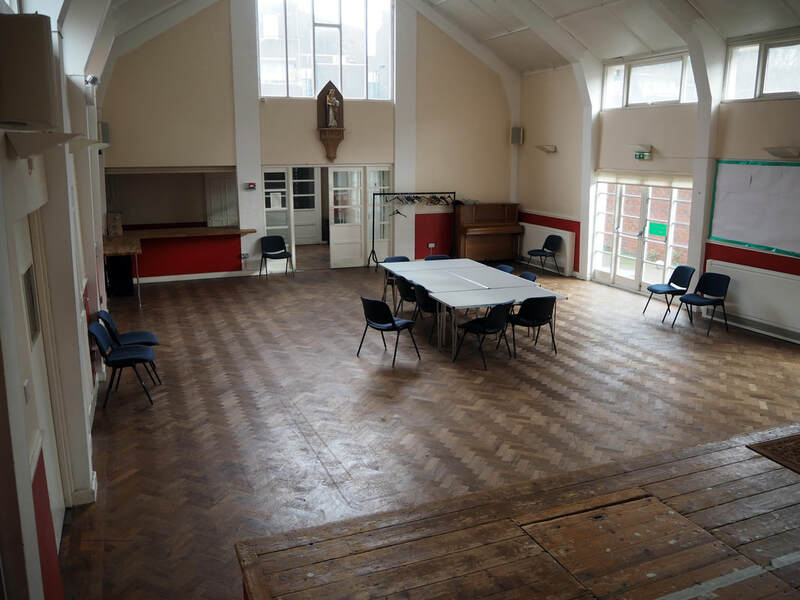 1 Sole use of the Hall during the period of hire. 2 The use of a kitchen. 3 The use of ladies’ and gentlemen’s lavatories. 4 The use of a piano. (although the PCC cannot accept liability). 1 Have a responsible adult in charge at all times. 2 Clear props/sets away after each day’s hire. If leaving props/furniture on the stage make sure the cupboards on the left-hand wall are accessible. 3 Leave the Hall in a clean and tidy condition (any damage will be charged to the hirer). 4 Be prompt at vacating at the agreed time. 5 Ensure the hall is locked, if left unattended. 6 That all external doors are locked at the end of the day. Floor marking is permitted, but only if it is the type which can be easily removed.